Enjoy your special day at Carlisle Bay. 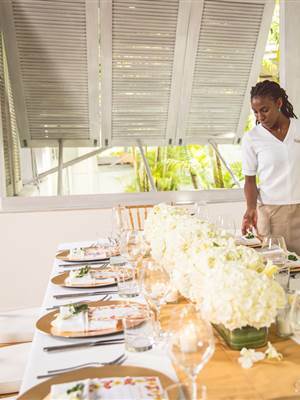 There are so many incredible possibilities for weddings at Carlisle Bay and each one of them more romantic than the next. 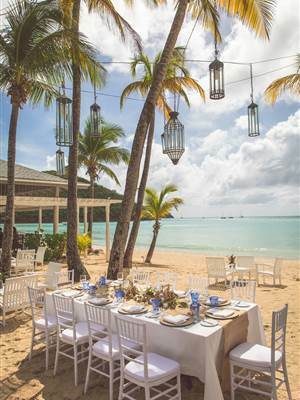 Just saying the words ‘Caribbean beach wedding’ are enough to make both you and your guests experience a shiver of excitement. Of course if it is to be just the two of you then you will be starting your married life with the most romantic of honeymoons. 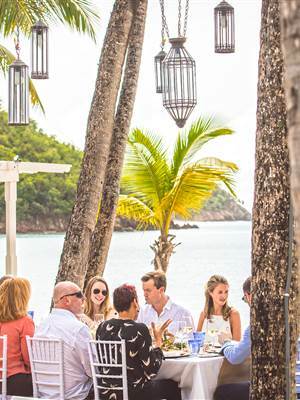 From an intimate event where you exchange vows silhouetted against the shimmering sea at the end of the jetty to a stunning beach ceremony for all your friends and family, this is the ultimate Caribbean wedding destination. 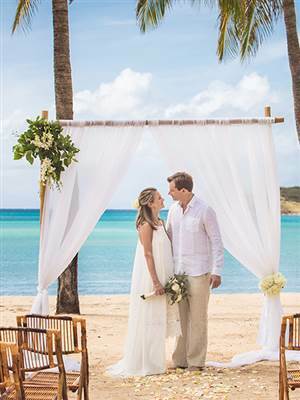 You can go grand and book out the entire resort for your guests or choose to have a simple ceremony at the beginning of your honeymoon on Antigua. Our weddings are highly personalised events created by us, in collaboration with you. They are bespoke occasions that reflect your personalities and the special image you hold in your minds of this important day. We will also do everything possible to help you with arrangements, local services and legal paperwork particular to Antigua.